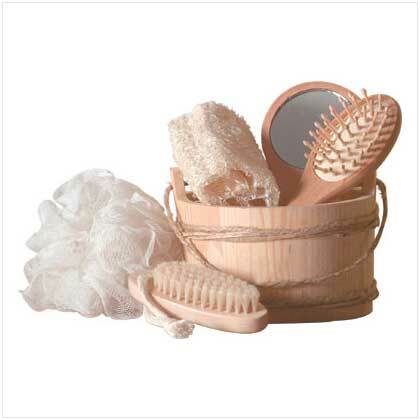 A country-crafted wooden bucket filled with all the bath luxuries that granny would have loved! Bucket: 5 1/4" diameter x 3 3/4" high. Set of 6. Retail Price: $16.95.